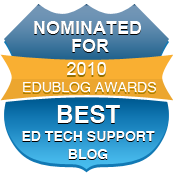 Edutecher is a free web resource that is now available on Itunes as a download for your Iphone or Ipod Touch. 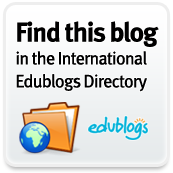 It is a good way to keep in touch with educational resources that use technology. If you don't have an Iphone or Ipod Touch you can still visit the website for the same information. In the app it has links that you can browse through. When you find one that you like you can email them, post to Twitter, Save the Article, or open it in Safari. The app also has edutecherTV which provides tutorial videos on your Iphone as well other videos worth watching. It also allows you to view the Edutecher Twitter Account. You can also search the links and resources that have been provided as well as browse through resources based on categories.